Chevy Blazer: GM's newest political football? The Chevrolet Blazer gives GM a player in the midsize crossover segment, but there is backlash because it is made in Mexico. 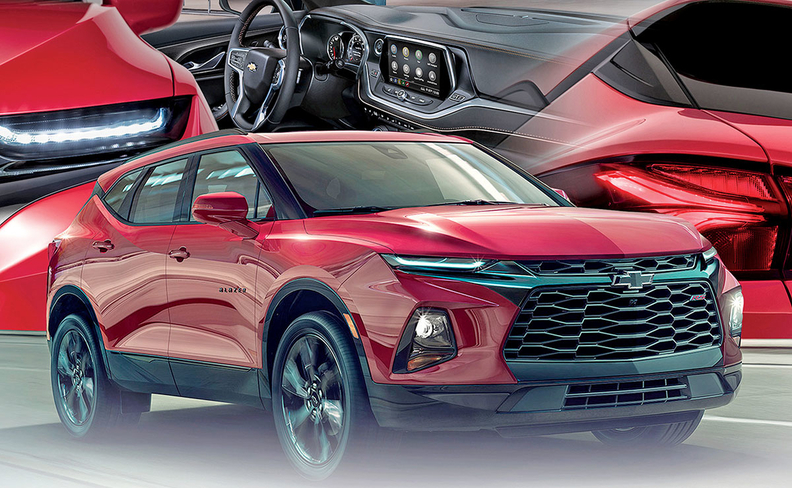 The 2019 Chevrolet Blazer is entering a red-hot midsize utility segment, but it's hauling some unwanted baggage. The resurrected SUV-turned-crossover is arriving at U.S. dealerships amid outcry from unions and politicians over General Motors' decision to import the vehicle from Mexico. Adding to the controversy is GM's plan to potentially close up to four U.S. plants and shutter Oshawa Assembly in Canada by year end. Such political turmoil is unique but not unprecedented in GM's recent history. The automaker launched the 2011 Chevrolet Volt while being labeled "Government Motors" by critics of its federally backed 2009 bankruptcy. Those cries have turned to "Greedy Motors" for the automaker's increasing foreign production while U.S. output ebbs. GM became the largest auto producer in Mexico last year, according to the Automotive News Data Center. 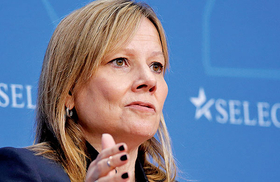 CEO Mary Barra has been both praised and blasted for potential plant closures. Last week, CEO Mary Barra again defended the company's decision to idle or end production at the plants in Ohio, Michigan, Maryland and Ontario but was met with mixed reaction — from praise and understanding to calls for her firing and company boycotts. "We are a large company with significant but not infinite resources. We have to make smart, strategic — and sometimes difficult decisions about where to invest," Barra wrote on LinkedIn in a post titled "Transforming an industry to transform the world." Much of the effort to boycott the Blazer — and GM's Mexico-made products in general — has come from the UAW and the Canadian union Unifor. Both have separately condemned the vehicle. Unifor President Jerry Dias called for a boycott of all Mexican-made GM products last month. UAW Vice President Terry Dittes, who leads the union's GM department, also has urged union members and their friends and families not to buy the Blazer. Despite being assembled in Mexico, the Blazer is made with 54 percent U.S. and Canadian parts, according to window stickers on dealer lots. Just 22 percent of its content is from Mexico — in line with the Michigan-made Chevy Traverse crossover and less than the Chevy Trax made in South Korea and Equinox made in Canada. GM decided to build the Blazer at its Ramos Arizpe plant after ending production of the Cadillac SRX there and starting to build its replacement, the XT5, in Spring Hill, Tenn.
Steve Majoros, Chevy's marketing director for cars and crossovers, declined to comment on whether the company expects the Blazer's political baggage to reduce sales. Any effect likely won't be known for several months because GM last year stopped reporting sales monthly. Advertising for the crossover also isn't expected to begin until around April 1. Majoros said the ad campaign was planned to give time for inventory to reach dealerships and make room for the 2019 Chevy Silverado ad campaign, which started Jan. 7 — roughly five months after the redesigned pickups began reaching stores. 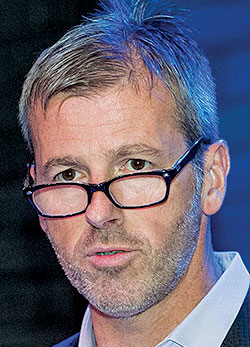 "We're trying to have the appropriate balance of not having too much, where dealers and other people are saying we need to start advertising this, but not have enough because early on, we're seeing a lot of great, strong demand," Majoros told Automotive News during a media event last month. Consumers are migrating from cars to crossovers, and Chevy hopes to capture more of them by offering another utility in a key segment led by the Subaru Outback and Honda Pilot. Majoros said he also expects cross-shopping with the Jeep Grand Cherokee, which is similar in exterior and interior size. From 2013 to 2018, U.S. sales of midsize utilities increased 54 percent, according to the Automotive News Data Center. "The Jeep machine works, but we've got a pretty good machine that works, too," he said, declining to give a sales target for the Blazer. "We've got a lot of people that love our product, love our brand. They sell 200,000, and we do not have aspirations to sell 200,000 of this product." The five-passenger Blazer was designed in line with recent updates to Chevy's lineup but adopts a more aggressive, sculpted look. It features a prominent dual grille similar in shape to that on the freshened 2019 Camaro SS and sleek, horizontal LED daytime running lights between the headlights. The vehicle is being offered in four trims — including the blacked-out RS and chrome-trimmed Premier — starting at $29,995, including shipping. The top trims can top $50,000 with optional packages. Two all-wheel-drive systems are available on all V-6 models. Lower trims offer a disconnecting single-clutch awd system, while the RS and Premier feature a disconnecting twin-clutch rear-wheel-drive module. Powering the front-wheel-drive vehicle is a standard 2.5-liter inline-four engine rated at 193 hp and 188 pound-feet of torque. A 3.6-liter V-6 engine with cylinder deactivation is available, and standard on higher trims, with 305 hp and 269 pound-feet of torque. Both direct-injected engines have stop-start technology and are paired with a nine-speed transmission. A vast majority of sales are expected to be V-6 models, Majoros said.